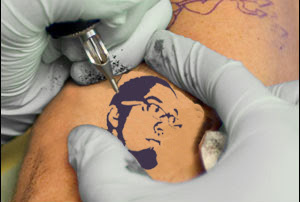 All the cool kids are getting tattoos of me. Isn't it about time you joined in? That's awesome. M and I have been talking about getting tattoos--I think I should have that one.